In the quiet coastal town in North Wales, Susan Smith is cooking up creations of fur and fluff. Although she trained as a chef, she found herself drawn to the art of bear making. 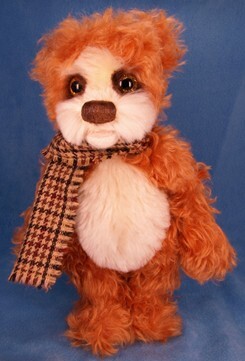 With a family history of sewing and knitting, Susan fell into teddy bear making purely by accident. "Around the end of 2005, I bought a teddy bear book for one English pound. 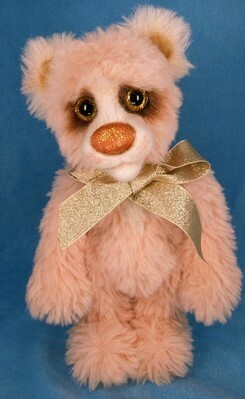 Never in my wildest dreams did I think I would get so hooked and find so much joy and satisfaction from creating bears." At first she followed the patterns and used scraps of faux fur, making bears for her family and friends. "But I quickly got bored and started to make patterns of my own even though at first they were a bit shaky, a bit weird and rather large." 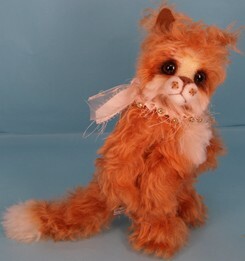 With her curiosity peaked by the methods of needle felting, she started to experiment with the technique. 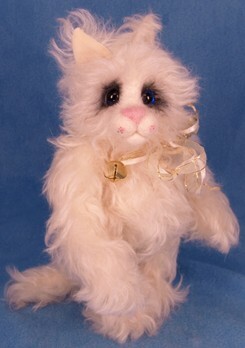 "At first, I used needle felting for my bear's eyes and then I got braver and started on their faces," she said. "When I look at them now, they do not look right clever, but I am still proud of them as they remind me of how much further on I have come since then, and I am still learning with every bear or cat I make along the way." Susan sometimes thinks she should make her bears without felting their faces, but doesn't think it would fulfill her creativity. "I accept that my creations are not everyone's cup of tea, but wouldn't the bear world be so boring if we all made them the same?" Last year, Susan attended her first bear fair and was amazed at how many people liked her work. She sold eight bears which left her on cloud nine and eager to make more. This year she is attending more events. "I am very excited about them and I know that it will keep me busy creating." 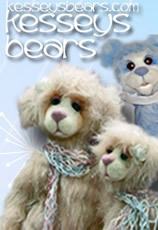 Susan sells bears through online auctions, in a couple of local shops, through her web site and of course, at the bear fairs. 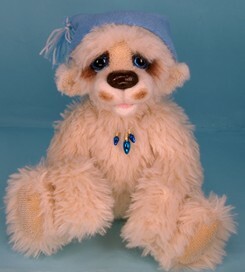 Describing herself as "not a quick bear maker," her bears usually take one to two weeks to create in order to let their own individual characters to shine through. "I have been told numerous times that the appeal of my bears is in their eyes as I tend to use large eyes, which I hand paint myself." Behind the eyes of her work is the memory of her faithful Labrador, Kess, who sadly is no longer with her. "Kess gave us so much joy, which seemed right to name my bears after her, since they now give me so much joy in creating them." 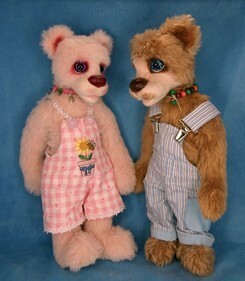 With her enduring partner, Ian, who she says puts up with her addiction to collecting, Susan looks forward to cultivating her techniques and growing in the teddy bear industry. "I don't feel that my bears are a business, but are my passion and hobby." The wonderful thing about bear making is that it can be both. 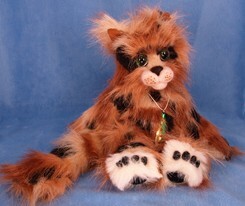 With intentions to try out new designs, Susan can be sure that her journey in the Teddy Bear world will continue.